From October 2015, the consortium made up of Aéroports de Paris, VINCI Airports and Astaldi will operate Arturo Merino Benítez Airport. The Supreme Decree awarding the concession of Santiago International Airport, Chile, was published today in the Chilean Official Gazette. This publication ratifies the conclusion of the tender process organized by the Chilean government, which was made public on February 4, 2015. As a result, the Nuevo Pudahuel consortium, made up of Aéroports de Paris (45% of the consortium), VINCI Airports (40%) and Astaldi (15%), will now implement the design phase to take on the operation of the Arturo Merino Benítez International Airport in Santiago de Chile starting October 1 2015, for a duration of 20 years. operate, for the entire duration of the concession (20 years), all infrastructures, including the existing terminal, the new terminal, car parks and future property developments. Design and construction works will be carried out by a consortium made up of VINCI Construction Grands Projets (50%) and Astaldi (50%). 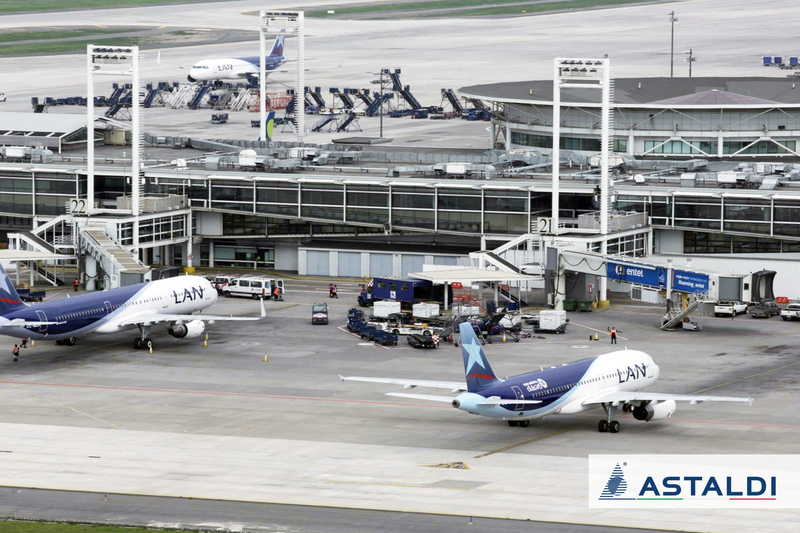 See previous press release, "Aéroports de Paris, VINCI Airports and Astaldi have presented the best offer for the concession of Santiago International Airport".